The GPRWMF offers a suite of Awards and Grants to scientists and clinical practitioners in otolaryngology, head & neck surgery, supporting career pathways and promoting the development of related products and technologies. To date, GPRWMF has committed more than $27 million to Fellowships and Scholarships, over $33 million to research grants and over $6.8 million to the establishment of clinical research Chairs. It is likely that no other medical research foundation in Australia has made such an investment in a single field, nor had such a profound impact. 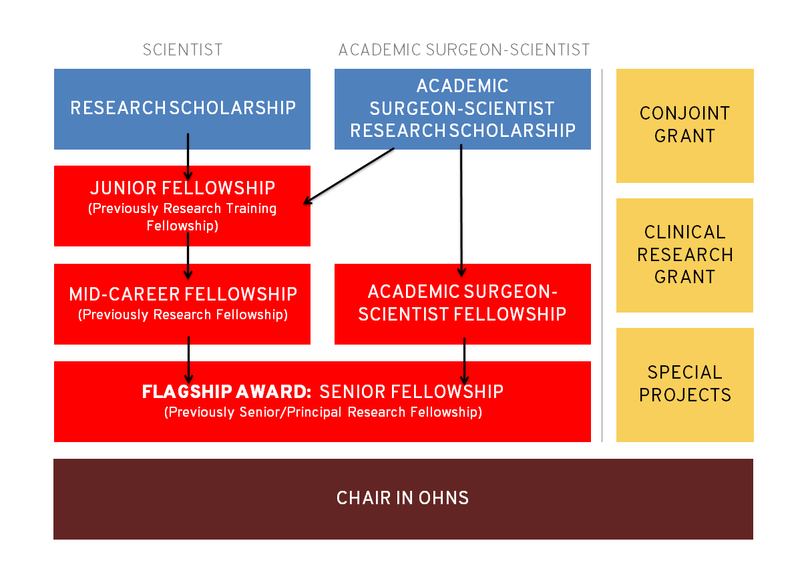 Our Fellowship and Scholarships are designed to forge career pathways for scientists and academic surgeon-scientists. Grants feed into all pathway streams. Please scroll down further for detail on individual Awards.